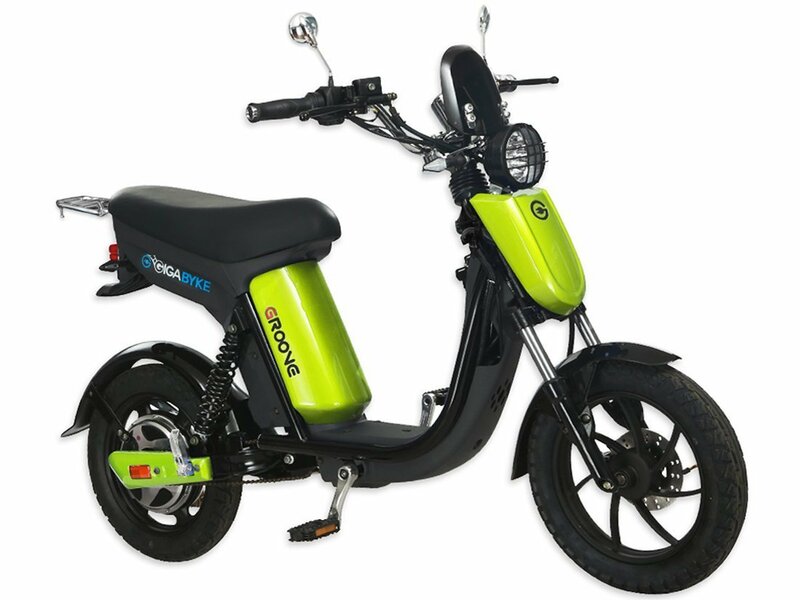 If you’re looking for a practical option for your daily commute, then give the Gigabyke Groove a serious look. 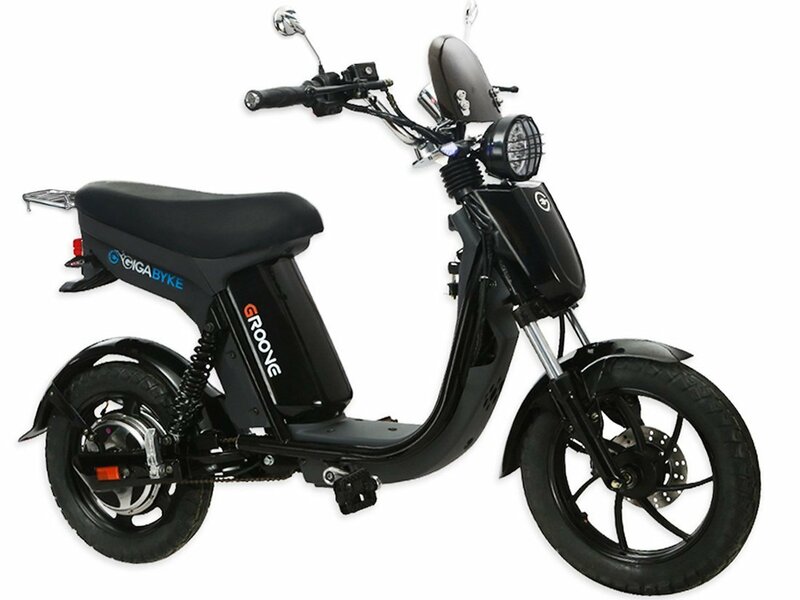 This is a moped style scooter, which explains why it looks more like a gas-powered scooter than some of the more bare-framed options featured in the guide. At around $1400 the Gigabyke isn’t exactly cheap, but considering its capabilities it’s not overpriced. 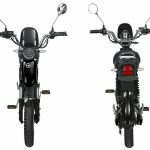 The scooter features motorcycle-style road gear like an LED headlight and turn signals with an amazing battery life of 35 miles after only six hours charging. Though the top speed is only 20 miles per hour, the outstanding battery life might make it worthwhile. If it should happen that you run out of juice or you just feel like getting some exercise, you can always use the backup pedal system. 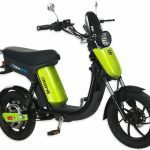 The Gigabyke is a viable travel method and a great alternative to a gas-powered scooter in an urban or sub-urban commute. 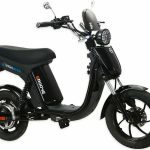 When I researching for a new scooter this one caught my eye with its price and power. Figured it was better than more expensive options and decided to give it a go! For a 750watt motor I was intrigued with that price. So far I am happy with it but comes with some issues. For a scooter on the smaller side there is still plenty of room on deck. The pedals are a bit interesting as they give extra space to rest your feet. Weight capacity holds up well. It can handle me (144lbs) along with extra bags. Overall it drives as well as you would expect it to. Some issues so far would be the general ‘cheap-ish’ feeling of some parts. A lot of the plastic pieces feel flimsy. The fenders and connecting pieces are thin metal so that might cause issues down the line. However, so far nothing has broken but not sure how well it will do in a light crash or being tipped over. Gigabyke promotes the use of a manual pedal system but I find it kind of laughable. Don’t get me wrong, I’m glad it is an option, but it’s a tough option. It’s just really hard to pedal, and I don’t see getting much use out of it. I know it’s just a backup option but I feel like it would be easier to just walk the bike. The speed is more of a middle factor. At 750 watts of power I expected a bit more torque and consistency with the speed. While 20MPH is the max it can be difficult at times to even reach that speed. Most of the time it’ll hover around 17-18MPH. While I haven’t tried it yet there is a speed ‘hack’ that can increase the MPH. 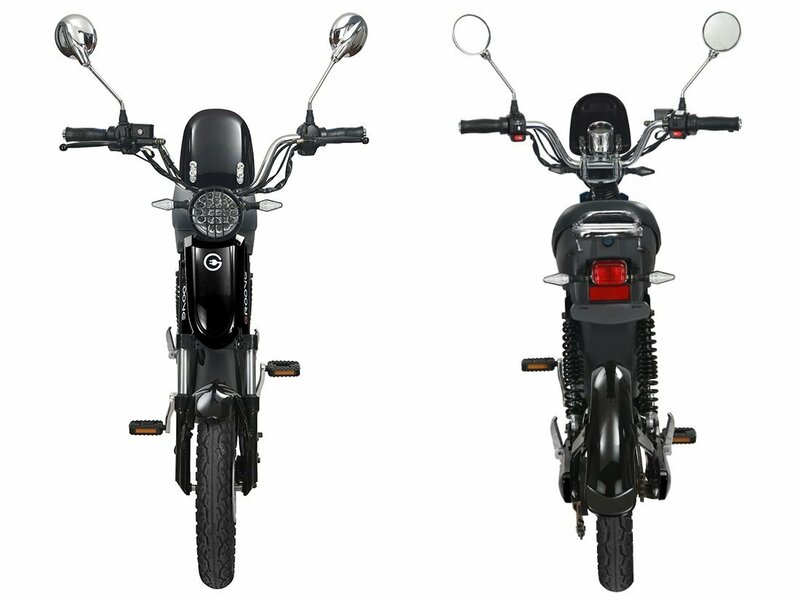 Built in to the bike is a 3-speed option that is disabled and only runs on one option; the middle speed. Connecting two wires together can set the bike to that higher speed option. There is a great guide on youtube for this. Impressed with the GigaByke. It’s well built, a solid bike. Good torque, speed, and overall quality of driving. Only issue is that the mirrors can bounce out of alignment if you have a bumpy drive… But a major plus is the top customer service (USA based). Surpassed my expectations.